Lead contamination and poisoning have been in the news a lot lately. Plenty of people, especially parents and anyone who works with young children, are concerned about the presence of lead in many residential and commercial buildings, which puts the health and development of the next generation seriously at risk. This blog has been designed to answer some of the most essential questions about lead contamination. You could think of this as a springboard for further research, because there’s so much information to glean and absorb about this surprisingly prevalent problem. This blog is brought to you by H2 Environmental Consulting Services, Southern California’s leading environmental testing, remediation, and consulting company. If you have any doubt about whether your property contains lead in its water, soil, or physical structure, give us a call at your earliest convenience at (800) 524-3578. Detecting lead and preventing exposure is especially important if you have young children at home, though no level of lead exposure is considered absolutely safe, at any age. Call (800) 524-3578 today. Why is lead exposure such a big deal? You may be wondering, if lead is so prevalent in our modern society, why is it such a big deal to avoid exposure? Well, lead is a powerful neurotoxin which interferes with the development and function of just about every body organ – especially the kidneys, red blood cells, and central nervous system. Young children who are exposed to lead may experience damage to their central nervous system and brain. At the worse, high levels of lead exposure can result in coma, convulsions, and even death. Even low levels should be avoided though, which can cause reduced IQ, reading and learning disabilities, attention deficit disorder, and behavioral problems. The majority of all childhood lead poisoning occurs at home. Plenty of homeowners and renters are unaware of the dangers of lead exposure, and unwittingly expose their children to this harmful contaminant by failing to take proper preventative measures during renovations or by allowing their children to be exposed to deteriorating and/or chipping lead-based paint. 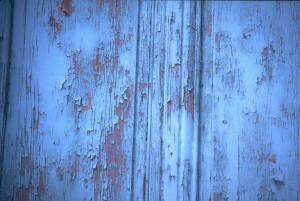 Lead-based paint chips taste sweet, so some children ingest them and are poisoned, but more frequently, children ingest invisible lead dust created when lead paint deteriorates over time, is exposed to the elements, is damaged by water, or exposed by friction (such as the opening and closing of a door or window), or during home renovation. What should I do to make sure my family and I are protected from lead exposure? Now that you know some of the serious risks associated with lead exposure, you probably want to do everything in your power to prevent your children, spouse, and yourself from it. The best way to prevent lead exposure is by making sure it’s totally eradicated from your home. If your house or apartment was built before 1978, it probably contains lead paint. Get your entire home thoroughly tested for lead by H2 Environmental Consulting Services – call (800) 524-3578 to make an appointment. If we discover lead in your home, we also provide complete remediation services according to federal and state regulations.